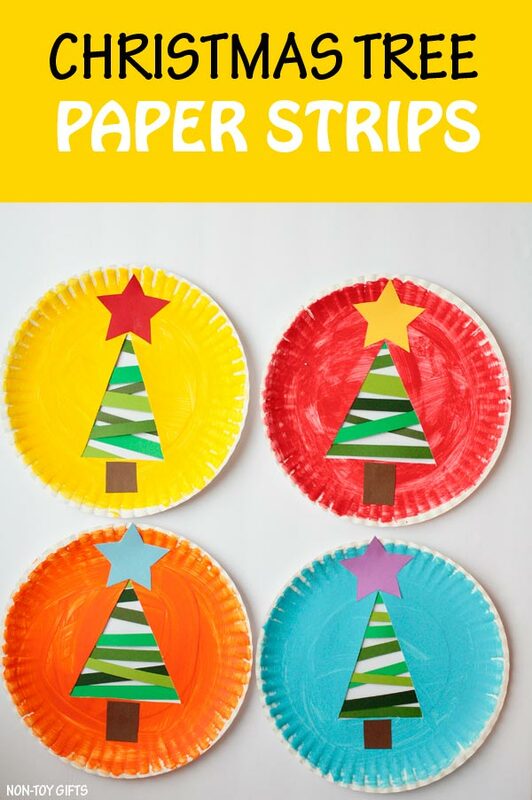 Start off the holiday crafting with this adorable paper strip Christmas tree. We have recently shared a paper plate Christmas tree that makes use of yarn for the tree branches. Our craft today uses the same design except that we have replaced yarn with paper strips and added a free template for your convenience. 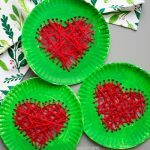 This makes a great classroom project and a fun way to work on fine motor skills. 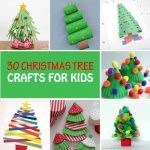 Just imagine a classroom decorated with about 20 colorful paper strip Christmas tree crafts! Wouldn’t it look amazing? 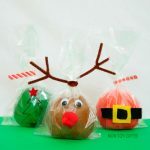 Such a darling idea for preschool or kindergarten. 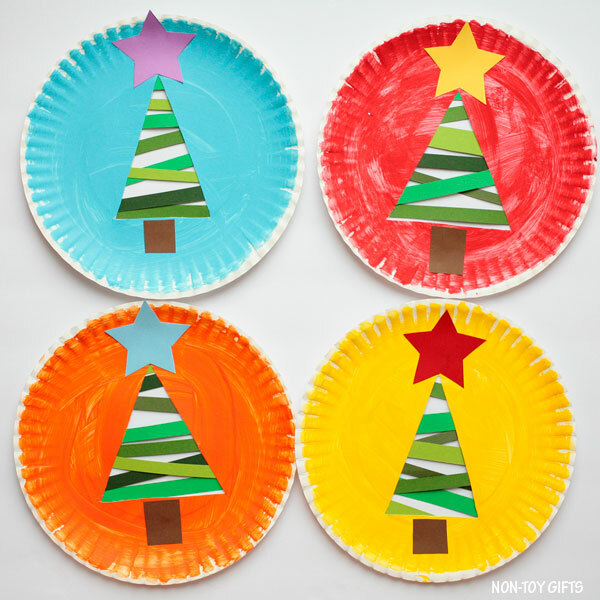 There is something about paper plate crafts that everybody loves them. It must be a combination of the paper plate sturdiness and the round shape. 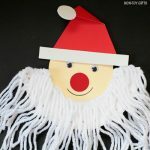 We love Christmas crafts and we enjoy making Santa, elves, Grinch and more Christmas trees. 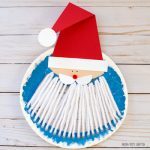 We combine them with winter crafts, like snowmen and penguins. 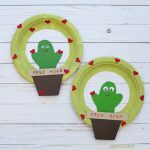 And because we’re big fans of simple crafts, we keep them easy and fun. 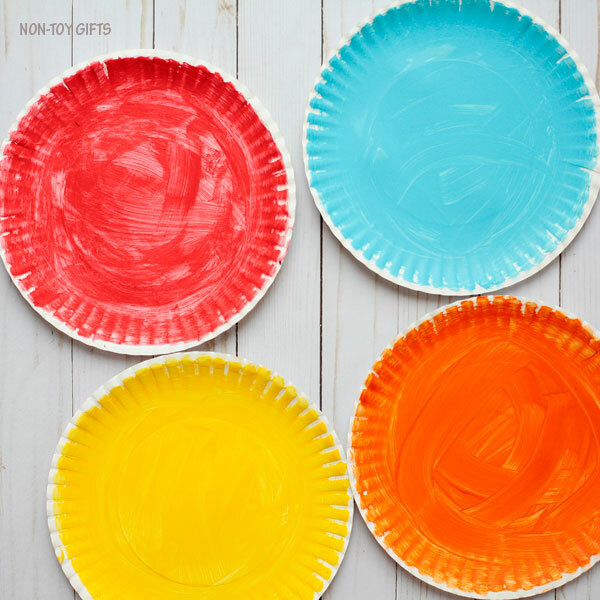 You can check out our collection of 100+ easy crafts for kids for more ideas. 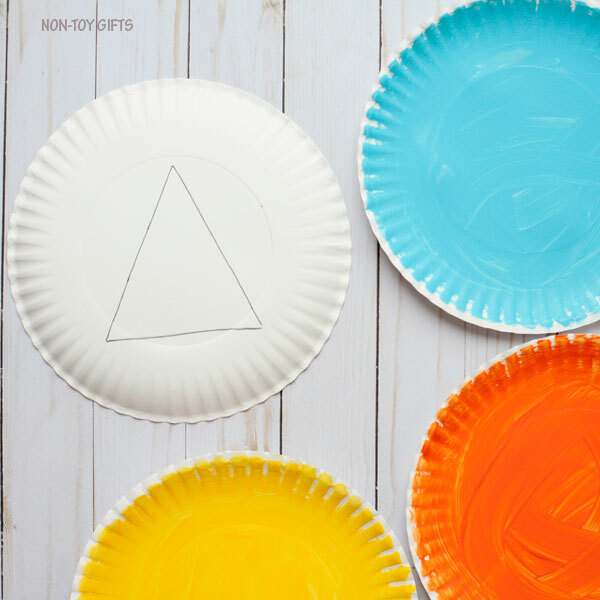 Step 1: Start by painting your paper plate. 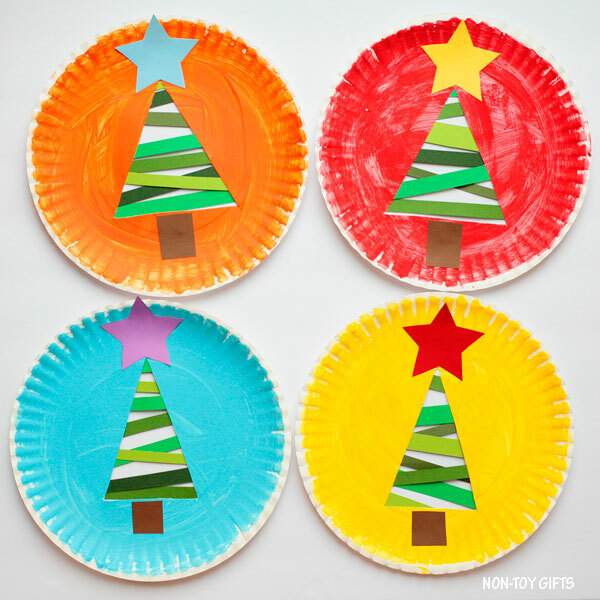 We love using a sponge brush for painting our paper plates as it’s easier and faster. 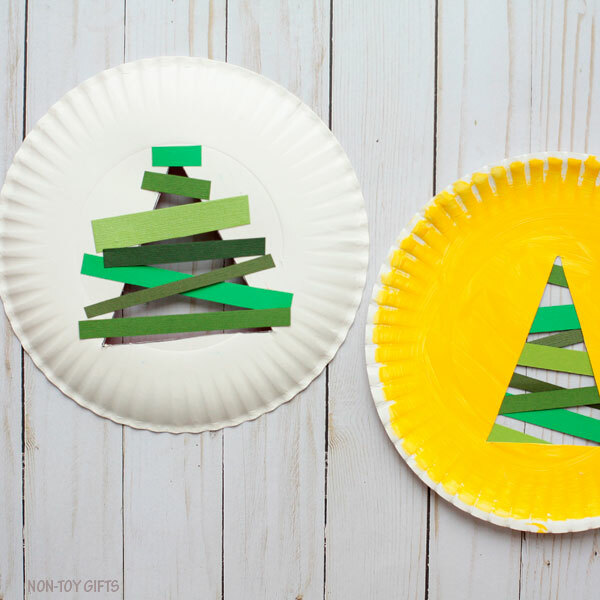 Set the paper plate aside to dry completely. Step 2: Download the Christmas tree template and cut one of the two triangle shapes. 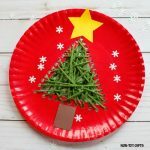 Use the template to draw the tree in the middle of the paper plate and cut it out. Step 3: Cut paper strips. We used several green hues but you can stick to just one hue. 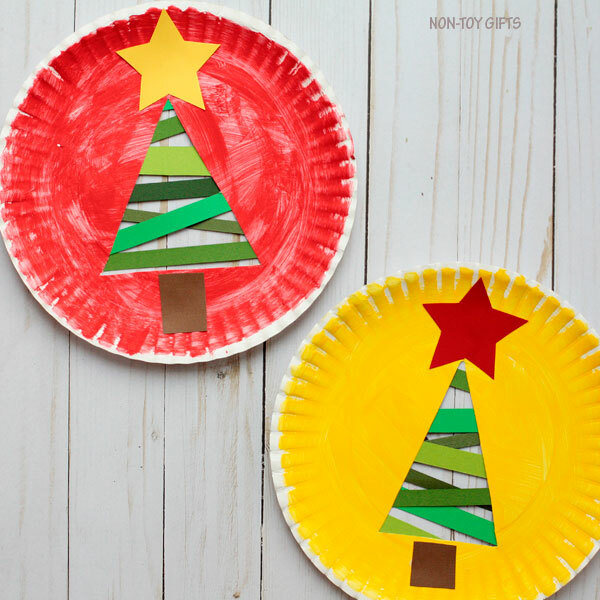 Turn the paper plate with the face down and start gluing paper strips over the cut triangle shape. 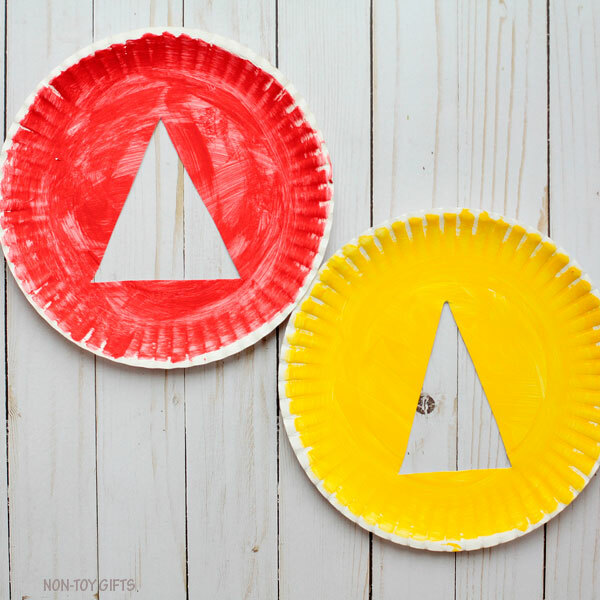 You can either apply glue to both ends of the paper strips or directly to the paper plate, right next to the triangle. Step 4: When you are done with gluing paper strips and are happy with your design, move on to cutting the star and a brown paper square for the tree trunk. 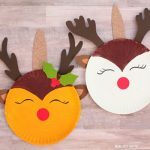 Older kids can decorate the Christmas tree with pom poms or sequin or they can use a snowflake punch to create a bunch of snowflakes that they can glue all over the paper plate.